An official Evangelion portal for Android phones is available as an app on the Android Market. 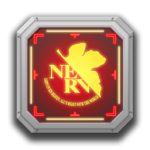 The application comes bundled with wallpapers, ringtones/alerts, an icon theme, clock and battery widgets, an Evangelion news widget, Evangelion themed twitter application and contacts (looks like a Nerv ID). 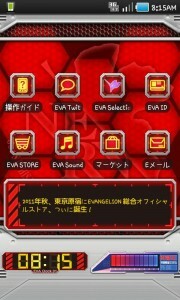 There are also a customized Android market for Evangelion apps. It’s available on the market for around $4.50 (USD). I haven’t downloaded it for my phone but based on screenshots, the majority of the applications seem to be Japanese. The clock and battery widgets look pretty cool though. Eva Portal on the Android Market.